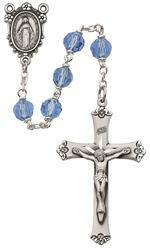 Enter your email address to updates from our site; we intend for the Rosary to the Interior become an annual event. Ask your pastor to Implement this Event! For those who would like to join in this missionary effort, please refer to our sample letter which you can send to any priests whom you feel might be interested in promoting this initiative. Since this is a group effort, you may simply assume and sign the letter as your own. Alternatively, simply find an open Catholic Church in which to pray the Rosary for this intention, either with a group or alone. We invite the whole world to join us!